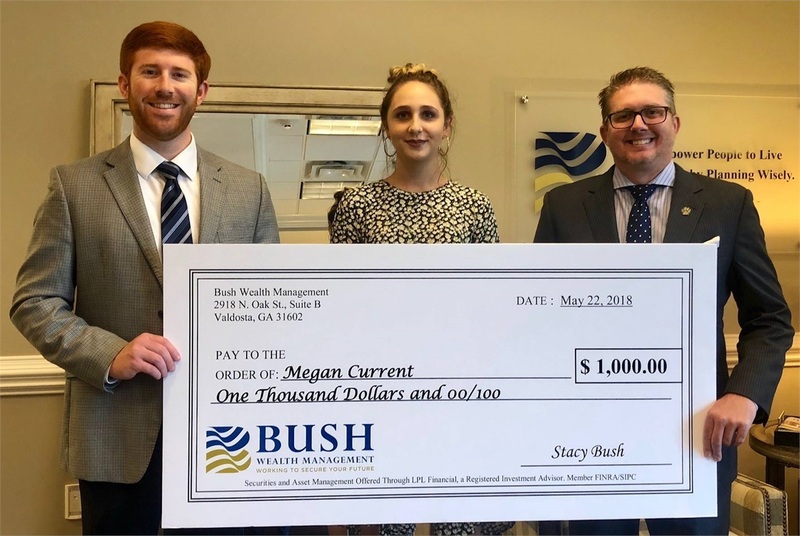 Pictured above: 2018 Bush Wealth Scholarship winner, Megan Current. Be a current High School Senior, in good academic standing, and will be graduating High School in May 2019. Student will be attending an accredited four year college/university as a full-time student in the Fall 2019 semester. Any degree can apply. NOT limited to finance/business majors. Recipients of the Bush Wealth Scholarship will be notified in May 2019 and their name will be posted on our company website.